Please refer to my earlier post on MOM payloads ; here while narrating each instrument, I had also graded them on a 10-point scale system. On this scale, MSM gets a grade of 7, which is next to MENCA getting 8. It is due to the huge impact factor which is, in a way, in the form of bringing answers to the question "Whether Life exists on Mars? " that these 2-instruments stand out as the sole representatives of bringing cutting edge results. 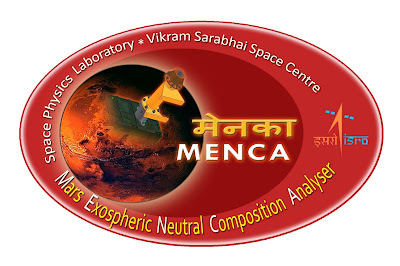 It would be a pleasant music to the ears of Dr. Michael Mumma of NASA's Goddard (GSFC) who has been the pioneer of tracking the methane on Mars by ground based telescopes; while the Indian origin Prof. S.K Atreya, Univ. of Michigan, a veteran on studying planetary atmospheres would also be very keen to note the same. Basically it is the reflectance image of Mars collected till Dec. 16th, 2014 at a reference wavelength centred around 1.65 micron. 1. It means the payload MSM has worked wonderfully well. Unlike its well trusted policy of employing heritage tagged instruments, it is a first time attempt by ISRO in employing a Fabry-Perot etalon based instrument; every thing seems to have worked well... starting from the conceptual stage to the execution of Flight Model. This is like scaling Mt. Everest for an instrument specialist like me. 2. 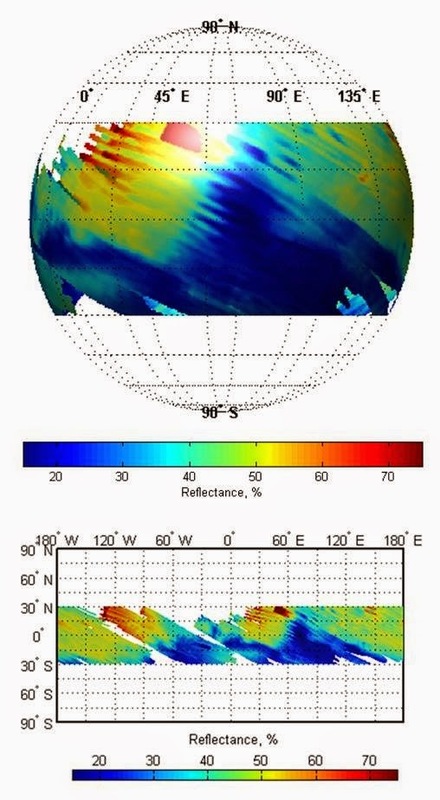 The image quality is excellent, which means the optics, detectors and data acquisition has worked to its optimal efficiency; while the 1.65 micron is the reference channel which measures the nearby background, the characteristic methane band is situated in next vicinity and hence it can be declared that the instrument is fully operational. The MSM instrument is designed to measure ppb (parts per billion) level of Methane; in a recent news update the CURIOSITY rover has taken a U-turn (compared to a negative outcome for Methane detection) to announce that it has detected a 10-time (ppb level) spike of Methane in its SAM instrument. Thanks for the comment... please do have a look at my earlier post where I had explained and predicted the future for these payloads of MOM.